We all make mistakes and some are easier to avoid than others, so here are a few pointers to remember when transitioning to a vegan lifestyle. Just remember, every vegan before you will have faced the same challenges you are. 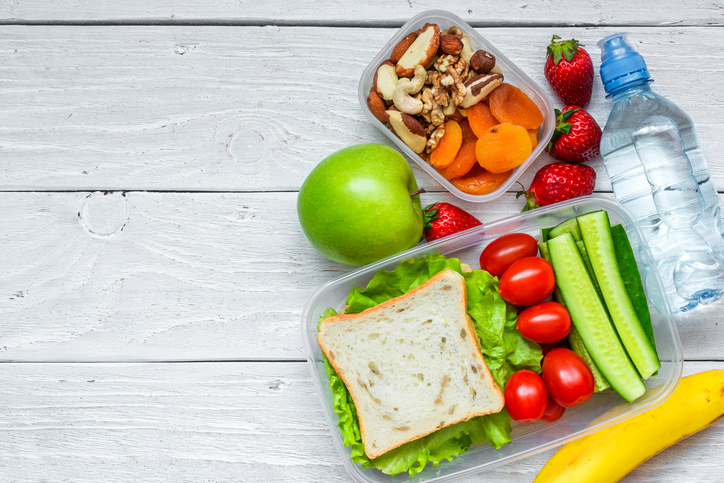 There are a number of pitfalls when transitioning to or maintaining a vegan diet – not just nutritional but practical and emotional too. But really it all comes back to one thing – you need to plan. We know it can be daunting to make such a big change in your lifestyle, but if you follow this golden rule then you’ll be well on your way to success. While planning may seem dull and unappealing, it is crucial in making your vegan diet simple to maintain and healthy. In the long-run it will be worth it, and what starts as requiring effort will soon become second nature. Remember that just because it takes a little more dedication and preparation from you, doesn’t mean that it isn’t a workable way to live – it’s just that our world has not been geared up to support a vegan lifestyle. Though things are shifting to make them more accessible (there really has never been a better time to go vegan! ), there’s still a way to go and in the meantime, there are things us vegans must be mindful of. Just by reading this article, you’re on the right track! There are many that have walked this path before you and we are here to help guide you along the way. Don’t underestimate the power of a support network – Veganuary gives you one for free! Join our closed Facebook group, where you can feel comfortable to ask questions and get some great peer advice from those who are trying out Veganuary alongside you and veteran vegans that have built up a wealth of knowledge that they’re eager to share. 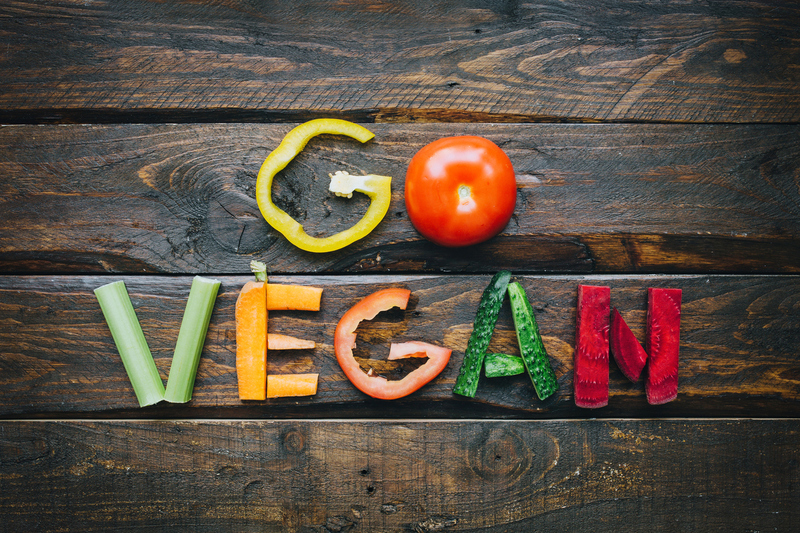 Vegans are a helpful bunch and there are lots here to support you – whether you’re really struggling with something significant or just need a quick tip on the best brand to buy, don’t be afraid to seek help. Feeling part of a community is a wonderful thing and Veganuary is here to provide one online. But, in addition to this, look for local vegan groups – they’re popping up all over the place! Facebook and Meetup are a good place to start – by going along to a group meetup (and usually they involve eating an array of vegan treats – bonus!) 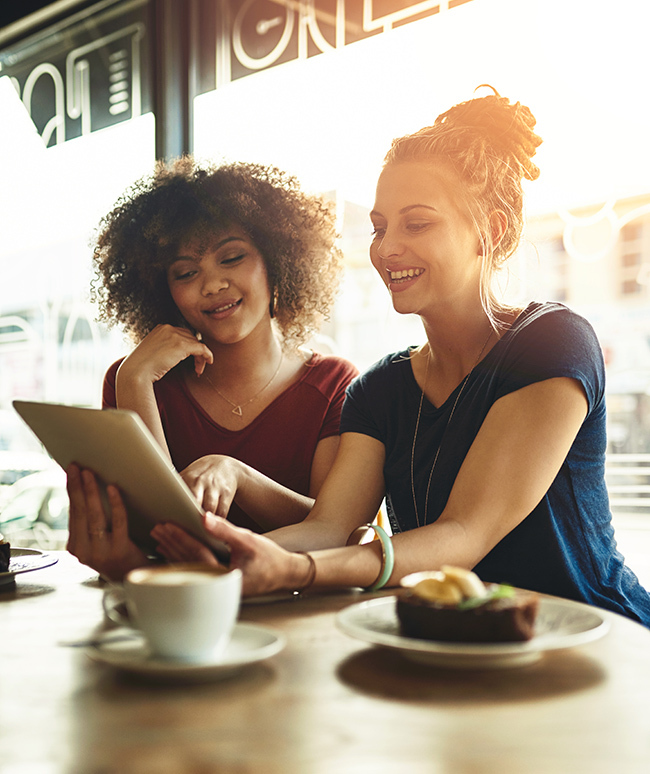 digital friends can become real ones – you won’t have to feel like the ‘only vegan in the village’. And it’s great to have a group of like-minded people to check out that new vegan café with. Once you’ve a few recipes up your sleeve, the next step is to ensure cupboards are stocked up with dry goods like pasta, jars of sauce and canned goods like beans and pulses. You’ll have enough on your plate getting the hang of your new lifestyle without doing a huge shop, so it’s nice to have the essentials in easy reach. You’ll also have plenty on your plate literally too – being vegan doesn’t mean missing out on substantial meals – quite the opposite! 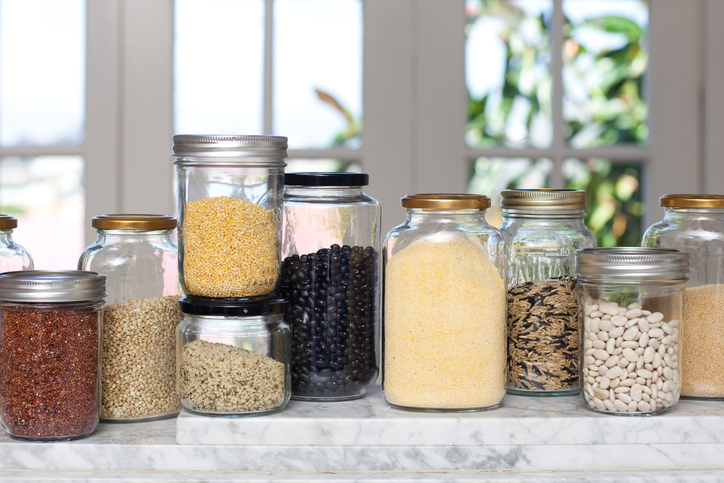 Your pantry may not look so different after you’ve stocked up – maybe a few extra tins of chickpeas – as loads of basics from grains to condiments are all plant-based anyway. Maybe you have visions of whipping up vegan creations laden with fresh veg for every meal, but even with the best intention, there may be times when you need something speedy. Pack the freezer with handy meat-substitutes from brands like Fry’s – great when you need to throw something in the oven after a long day – their all-vegan frozen range includes burgers, sausages, chicken-style strips and nuggets. Recommended! So, it’s 1st January and you’re raring to go – after over-indulging throughout the festive season you may well feel like reaching for the carrot sticks and hummus – but will you feel the same come mid-January, when you’re busy and immersed in the juggling act that is everyday life? Who knows, but it helps to be equipped, so you don’t lose your New Year’s momentum when you urgently need a biscuit-fix and have run out of vegan alternatives. Think about the foods you like and find alternatives – if you know you’ll fancy a biscuit with your coffee, then find some that you’ll enjoy. (Check out these accidentally vegan products). If you’ll be desperately seeking pizza after a night out, make sure there’s one in the freezer – or the number of a restaurant that can deliver one! Restaurant chains are catching on to the demand for vegan pizza (including Pizza Express, Zizzi and Pizza Hut), but you can make one from a base, pasta sauce and grated vegan cheese at a fraction of the cost. If you’re planning to give up sweets or chocolate in conjunction with going vegan, it probably isn’t the time – you don’t want to feel like you’re depriving yourself of everything! 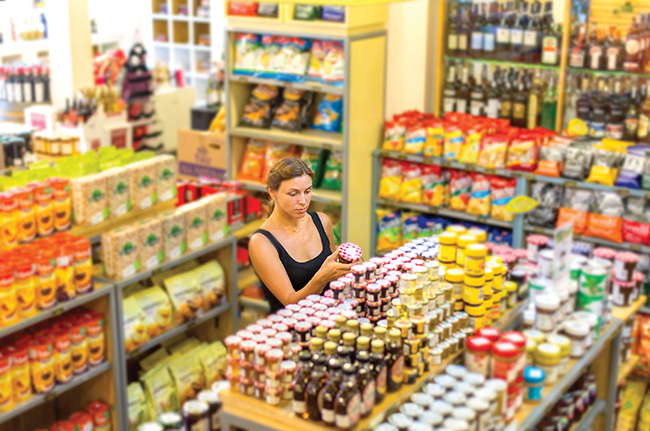 There’s loads of great vegan treats, from regular dark chocolate and Hobnob biscuits to Vego bars and dairy-free Nutella alternatives (Nature’s Store – google it!). Another top tip, for long journeys you’ll probably want easy-to-transport snack foods – Pulsin bars are our go-to snack. Stick a few of these protein-packed gems in your bag and you won’t have to hunt around service stations or train platform kiosks for sustenance in a travel-induced daze. Food can suddenly feel quite foreign when you decide to try vegan. It’s an odd sensation when you realise that you don’t actually know what’s in most of the foods you eat. You start to question even the most obvious, and the local supermarket suddenly feels like uncharted territory. Don’t panic. We’re not talking about learning a language here – within a week you’ll have graduated to Expert Label Reader status, and by the end of the month you’ll be able to add another word: Expert Label Speed Reader. Vegans can read labels fast, it’s like a super power. But we’ll let you in on a secret, it’s only because we know what to look for. 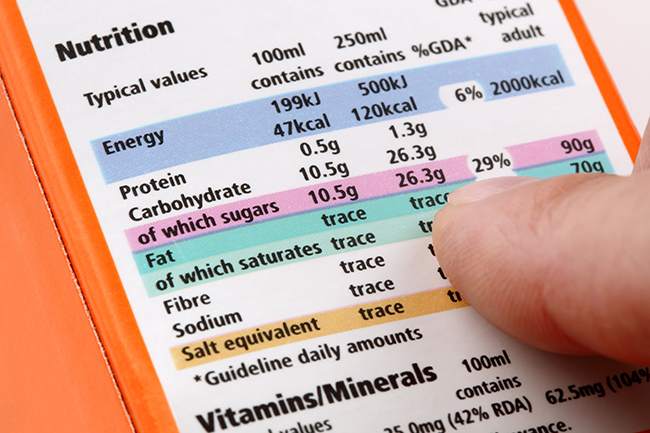 Many labels will obviously state if something is vegetarian, so our first tip is to look for that… Legally, a company must explicitly state what allergens are contained in a product, and these will typically be highlighted in bold within the ingredients list, or stated separately below it. If you see a non-vegan allergen ingredient (eggs, milk, whey and casein are the usual suspects) then that item is vegetarian only. If there are none listed, then it is very likely vegan. But also, be mindful that in the UK, a manufacturer must declare whether a product is made in a factory where allergens are present. You may be confused when you see a label that appears to be free from any non-vegan ingredient and then states ‘may contain milk’ (for example). 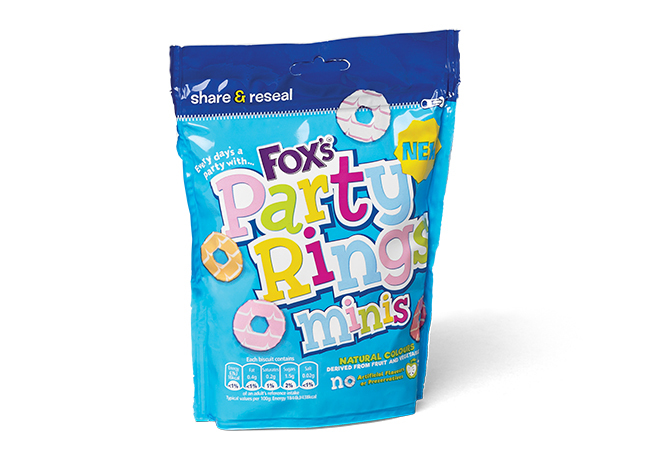 This is just a legal requirement and does not mean the product is not vegan. Simply focus on the ingredients that are actually in the product rather than the ‘may contain’ or ‘produced in a factory that handles’ warnings. ‘Non-dairy’ or ‘lactose-free’ doesn’t necessarily mean vegan – in fact, more often than not, they’re not vegan. Read these labels the same as you would any other. Lactic acid is vegan. Lactose is not. Honey – food for bees, made by bees. It is often found lurking in breakfast cereals and cereal bars. Carmine/cochineal/E120 – the red pigment of crushed female cochineal beetles, used as a food colouring in cakes and sweets. Gelatine – obtained by boiling the skin, tendons, ligaments and bones, usually of cows or pigs, and usually found in jelly, chewy sweets, cakes and in the capsules of some vitamins. Shellac – the resin secreted by female lac insects, and used as a food glaze. Vitamin D3 – it is possible to get vegan vitamin D3, but often it comes from the liver of fish. If the pack says ‘vegetarian’, you’ll know which one you have. Check out our Vegan Label Reading Guide for more help. If you’re taking part in Veganuary, then talk about it when you go out! Tell the waiting staff that you’re taking part (or will be taking part and are getting some practice) in a 31-day vegan challenge for January, and ask them to help you out. 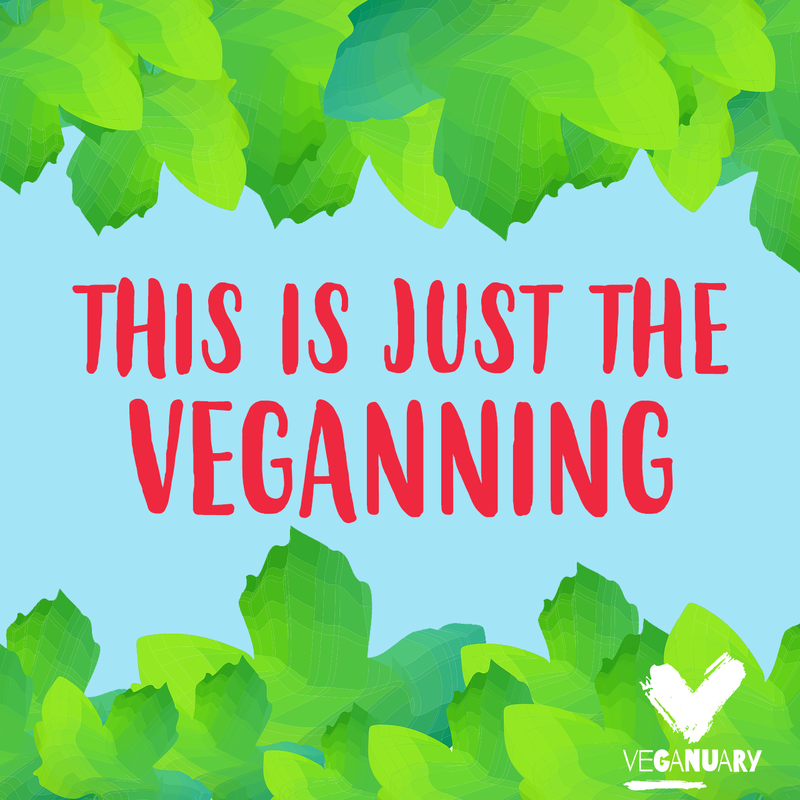 We hope you can now go forth in confidence with your new vegan lifestyle and swerve lots of the pitfalls! But don’t forget – being vegan is about intention, not perfection. Never beat yourself up if you make a mistake – just learn from it and move forward. You’ll have this vegan thing nailed in no time! Visit veganuary.com and start your vegan adventure today.